HH-66 - 32 oz. with brush top lid is a superior quality fast drying thermoplastic elastomer adhesive. It is used extensively for bonding vinyl coated and vinyl laminated fabrics to themselves or various materials. 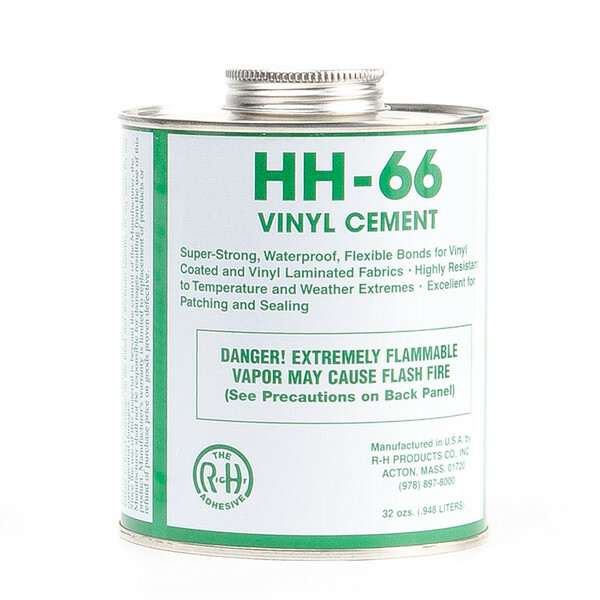 HH-66 is also used to bond urethanes, vinyl foams and films, rigid plastics, synthetic fabrics, wood, leather and metals. It is outstanding for sealing or waterproofing stitched seams in these materials. Coverage: 32 oz. can covers approximately 30 Square Feet. Q: How many sq ft does it do? Q: What kind of coverage can I expect from the 32 ounce can of HH-66? Coverage is approximately 30 Square Feet.